"Blackwater's sweetheart deals, both domestic and international, are representative of how business has been done under Bush. They are a troubling indicator of a trend toward less accountability and transparency and greater privatization of critical government functions." Tens of thousands of Hurricane Katrina victims remain without homes. The environment is devastated. People are disenfranchised. Financial resources, desperate residents are told, are scarce. But at least New Orleans has a Wal-Mart parking lot serving as a FEMA Disaster Recovery Center with perhaps the tightest security of any parking lot in the world. That's thanks to the more than $30 million Washington has shelled out to the Blackwater USA security firm since its men deployed after Katrina hit. Under contract with the Department of Homeland Security's (DHS) Federal Protective Service, Blackwater's men are ostensibly protecting federal reconstruction projects for FEMA. Documents show that the government paid Blackwater $950 a day for each of its guards in the area. Interviewed by The Nation last September, several of the company's guards stationed in New Orleans said they were being paid $350 a day. That would have left Blackwater with $600 per man, per day to cover lodging, ammo, other overheadand profits. Shortly after the hurricane hit, Blackwater "launched a helicopter and crew with no contract, no one paying us, that went down to New Orleans," says company vice chairman Cofer Black. "We saved some 150 people that otherwise wouldn't have been saved. And, as a result of that, we've had a very positive experience." Indeed. It was only days after the company arrived that it started reeling in lucrative deals. According to Blackwater's government contracts, obtained by The Nation, from September 8 to September 30, 2005, Blackwater was paid $409,000 for providing fourteen guards and four vehicles to "protect the temporary morgue in Baton Rouge, LA." That contract kicked off a hurricane boon for Blackwater. From September to the end of December 2005, the government paid Blackwater at least $33.3 millionwell surpassing the amount of Blackwater's contract to guard Ambassador Paul Bremer when he was head of the US occupation of Iraq. And the company has likely raked in much more in the hurricane zone. Exactly how much is unclear, as attempts to get information on Blackwater's current contracts in New Orleans have been unsuccessful. "We saw the costs, in terms of accountability and dollars, for this practice in Iraq, and now we are seeing it in New Orleans," says Illinois Democrat Jan Schakowsky, who has been one of Blackwater's few critics in Congress. "They have again given a sweetheart contractwithout an open bidding processto a company with close ties to the Administration." After The Nation exposed Blackwater's operations in New Orleans this past fall [see "Blackwater Down," October 10, 2005], Schakowsky and a handful of other Congress members raised questions about the scandal. They entered the report into the Congressional Record during hearings on Katrina and cited it in letters to DHS Inspector General Richard Skinner, who then began an inquiry. In letters to Congressional offices in February, Skinner defended the Blackwater deal, asserting that it was "appropriate" for the government to contract with the company. Skinner admitted that "the ongoing cost of the contract...is clearly very high" and then quietly dropped a bombshell: "It is expected that FEMA will require guard services on a relatively long-term basis (two to five years)." Two to five years? Already most of the 330 federally contracted private guards in the hurricane zone are working for Blackwater, according to the Washington Post. Another firm, DynCorp, is also trying to grab more of the action, offering its security services for less than $700 per day per guard. The hurricane's aftermath has ushered in the homecoming of the "war on terror," a contract bonanza whereby companies can reap massive Iraq-like profits without leaving the country and at a minuscule fraction of the risk. To critics of the government's handling of the hurricane, the message is clear. "That's what happens when the victims are black folks, vilified before and after the stormInstead of aid, they get contained," says Chris Kromm, executive director of the Institute for Southern Studies and an editor of Gulf Coast Reconstruction Watch. "If officials really cared about protecting the people of New Orleans, they wouldn't be giving millions to scandal-ridden contractors. They would have given the city money to rebuild their levees to withstand more than a Category 2 Hurricane. They still haven't done thatand hurricane season is upon us." Kromm alleges that vital projects that have "gotten zero or little money" in New Orleans include: job creation, hospital and school reconstruction, affordable housing and wetlands restoration. Even in this context, DHS continues to defend the Blackwater contract. In a March 1 memo to FEMA, Matt Jadacki, the DHS Special Inspector General for Gulf Coast Hurricane Recovery, wrote that the Federal Protective Service considered Blackwater "the best value to the government." While companies like Halliburton may have raked in more profits since George W. Bush took office, few have seen growth as dramatic as Blackwater's. The firm has been at the front of the line at the domestic and international taxpayer-funded feeding troughs and has recently hired some high-profile former government officials, like Cofer Black, former chief of CIA counterterrorism, and former Pentagon Inspector General Joseph Schmitz. In March, Black represented Blackwater at a conference in Jordan, announcing that the company was seeking to broaden its role in even more conflict zones. Blackwater is rapidly expanding its operations, creating a new surveillance-blimp division, launching new training facilities in California and the Philippines, and increasingly setting its sights on the lucrative world of DHS contracts. It is clamoring to get into Darfur and has also hired Chilean troops trained under the brutal rule of Augusto Pinochet. "We scour the ends of the earth to find professionals," company president Gary Jackson told the Guardian. "The Chilean commandos are very, very professional, and they fit within the Blackwater system." The business magazine Fast Company recently named Jackson one of its "Fast 50," predicting that the company and its president are in for "a very strong (and long) decade." Jeremy Scahill From an interview of Jeremy Scahill about Blackwater USA on Fresh Air, hosted by Terry Gross of Station WHYY and broadcast March 19, 2007 on National Public Radio. Excerpt is 25.35 min. For the complete program (39.09 min), see NPR http://www.npr.org/templates/story/story.php?storyId=8992128 (accessed 03/19/07). It's hard to imagine that the cronyism that has marked the Bush Administration is not at play in Blackwater's success. Blackwater founder Erik Prince shares Bush's fundamentalist Christian views. He comes from a powerful Michigan Republican family and social circle, and his father, Edgar, helped Gary Bauer start the Family Research Council. According to a report prepared for The Nation by the Center for Responsive Politics, in all of Erik Prince's political funding generosity since 1989, he has never given a penny to a Democrat running for national office. Company president Jackson has also given money to Republican candidates. For his part, Joseph Schmitzthe former Pentagon Inspector General turned general counsel to Blackwater's parent, The Prince Grouplists on his resume membership in the Sovereign Military Order of Malta, a Christian militia formed before the First Crusade. Like Prince, he comes from a right-wing family; his father, former Congressman John Schmitz, was an ultraconservative John Birch Society director who later ran for President. Joseph Schmitz was once in charge of investigating private contractors like Blackwater, but he resigned amid allegations of stonewalling investigations conducted by his department. He now represents one of the most successful of those contractors. Schakowsky charges that the Administration has written Blackwater "blank checks," saying that the internal DHS review of the company "leaves us with more questions than answers." She points out that the report fails to address the major issues stemming from deploying private forces on US streets. In her testimony this past September, Schakowsky said, "Ask any American if they want thugs from a private, for-profit company with no official law-enforcement training roaming the streets of their neighborhoods. The answer will be a resounding NO." Blackwater's ascent comes in the midst of a major rebranding campaign aimed at shaking its mercenary image. The company is at the forefront of the trade association of mercenary firms, the International Peace Operations Association, which lobbies for even greater privatization of military operations. Blackwater and its cause have clearly found serious backing in the Bush Administration. Hiring Blackwater, says Schakowsky, "may be legal, but it is not a good deal for taxpayers and Gulf region residents in particular." Blackwater's sweetheart deals, both domestic and international, are representative of how business has been done under Bush. They are a troubling indicator of a trend toward less accountability and transparency and greater privatization of critical government functions. It's time that more members of Congress ask tough questions about Blackwater and its rapid, profitable rise. 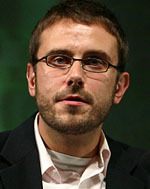 Jeremy Scahill is an independent journalist who reports frequently for the national radio and TV program, Democracy Now! He has spent extensive time reporting from Iraq and Yugoslavia and is currently a Puffin Writing Fellow at The Nation Institute. His recent book is Blackwater: The Rise of the World's Most Powerful Mercenary Army, Avalon Publishing Group, New York, 2007. From: The Nation magazine, June 5, 2006 (posted online May 22, 2006), http://www.thenation.com/doc/20060605/scahill, accessed 06/05/06. Reprinted in accordance with the "fair use" provision of Title 17 U.S.C. § 107 for a non-profit educational purpose.